The year is 1992, and no one on the rock music scene is hotter than Kiro Manning, the lead singer of Slacker Demon. With a multi-platinum record, total ownership of the Billboard charts, sold-out concerts, and sinful amounts of money, Kiro can have anythingand anyonehe wants. So when a dark-haired, conservative beauty rebuffs him at a concert after-party, his first thought is, Who the hell does she think she is? His second thought: How do I make her mine? 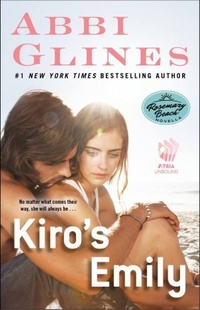 Kiro has always loved a good challenge, but not every girl wants to get involved with a rock god. Especially this girl. A história de Kiro Manning eo amor de sua vida. Em ter Take A Chance descobrimos que a mãe de Harlow foi a única mulher que mudou a vida de Kiro. A única mulher que ele amaria para sempre. Esta é sua história. O verdadeiro amor nunca morre.